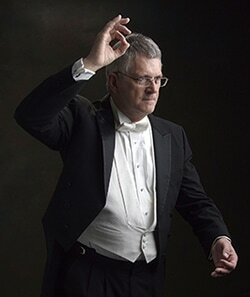 Hugh spent his career as a musical conductor working from small to large megachurches and working with top orchestras for almost 40 years. Hugh is an entrepreneur many times over having had many businesses including a small camera store he bought in Florida that was barely surviving and made it into a multi-million dollar enterprise. Hugh talks about what he calls “pull leadership” and how being a conductor is not being a dictator, but being an influence that helps people to perform at a higher level. Many people look outside themselves for the answer when the answer is already there within in them.